As a parent, you either love the idea of craft or you loathe it. I so wish I loved it a bit more but I must admit I'm usually too busy quietly stressing about the state of my Eames chairs under all that paint, glue and glitter to really relax and let go. I know. Life's too short. (But c'mon! Eames chairs, yo!) Admittedly, my two girls are both really creative types so I often find myself having that eternal parenting struggle between protecting the furniture and simply letting them go for it. Too often, the furniture wins. Having said that, yesterday we absolutely, undeniably went for it. Craft ahoy. Recently I was lucky enough to be sent some fabulous craft packs from Australian creative online store, CleverPatch. Have you heard of them? I hadn't, but again I didn't previously seek out craft! 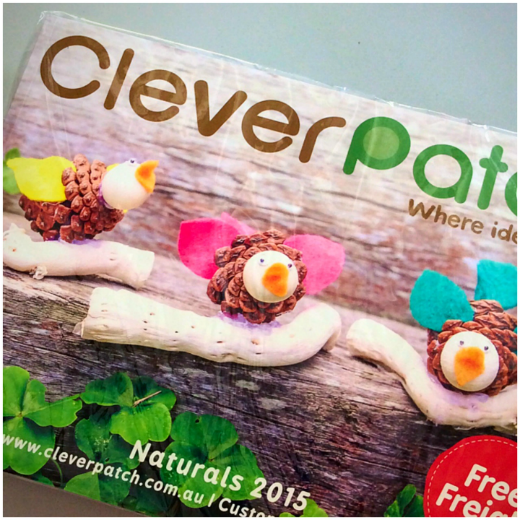 CleverPatch's products are just gorgeous and they are presented so beautifully. 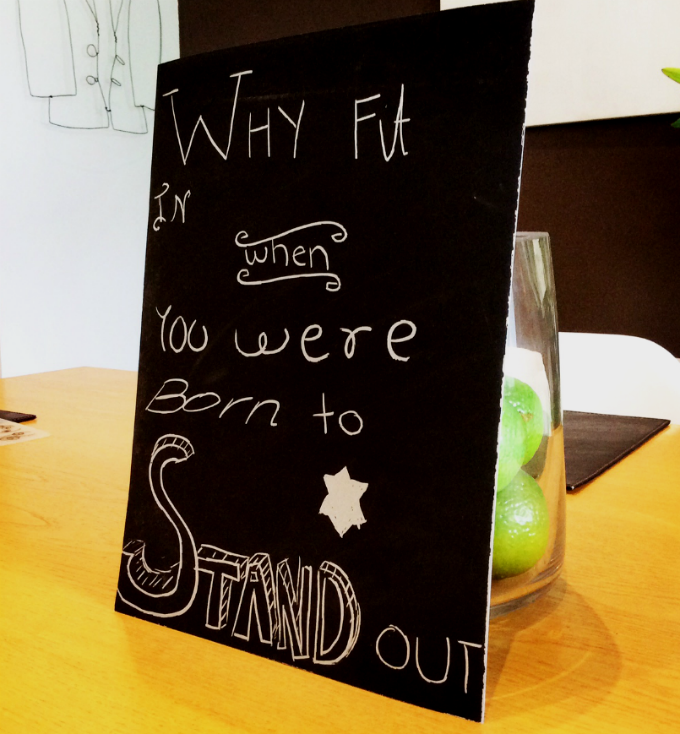 If you have kids who love to create then you HAVE to check out their website. Every themed pack comes complete with all the crafty requirements from glitter to glue, pens to paint, and all kinds of pom poms, stickers and miscellaneous materials required to create a masterpiece at any age. Using the included instructions, we created Easter bunnies using polystyrene and little chicks using wool and felt (admittedly this stretched my ability but that's more about my immense lack of patience and drive for perfection than about the product itself). We made a framed plaster hand cast from Plaster Of Paris which we set and then painted, we created a dreamcatcher using feathers, and we drew countless pictures using their fabulous Super Silky Twist crayon pens. Miss A especially loved using the black scratch boards that came with a little stick, allowing her to scratch out her drawing, writing (and random scribbling). Legal and legitimate scratching of a surface - right up her alley, I'd say. So if you're a parent or even a teacher of any age group, check out the CleverPatch website here. You and the kids will love it, I promise. When using their products and packs, I would suggest that an adult be present to assist with the step by step instructions and also having a little PVA glue on hand to create some extra-strength stickiness is a good idea. Give it a go! You'll totally be in the running for Mother/ Carer/ Teacher Of The Year. Now please excuse me while I go and clean glitter from every crevice of my dining room and also from the inside corners of my eyes. I know - one of life's big mysteries. 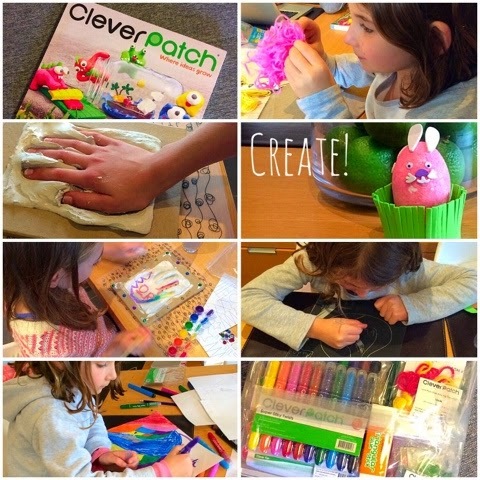 * THE MOTHER LOAD WAS GIFTED PRODUCTS BY CLEVERPATCH FOR THE PURPOSE OF REVIEW. ALL OPINIONS EXPRESSED ARE MY OWN.